The Garpun communications satellite blasted off at 0019 GMT Sunday (7:19 p.m. EST Saturday) from the Baikonur Cosmodrome in Kazakhstan, and it took several hours for the Proton rocket’s Breeze M upper stage to place the payload into orbit. The satellite was heading for a direct injection into geostationary orbit nearly 36,000 kilometers (22,300 miles) above Earth, and the Russian Ministry of Defense announced Sunday the spacecraft was in stable communications with ground controllers and operating normally following launch. 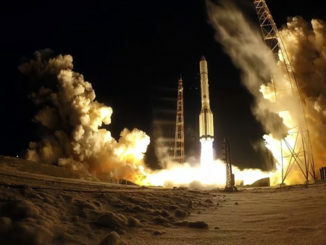 The defense ministry did not release details of the satellite’s mission, but it announced the satellite would be renamed Kosmos 2513, keeping with the naming scheme for Russian military spacecraft. The ministry also said the Breeze M upper stage maneuvered into a “graveyard orbit” to avoid clogging geostationary orbit, a popular location for communications satellites, with space junk. Experts believe the Proton/Breeze M launch placed the second Garpun, or harpoon, relay satellite into orbit for the Russian military. The first craft in the communications network went up in September 2011. Built by ISS Reshetnev, the satellites follow an older generation of data relay satellites designed to link Russian intelligence agencies with the country’s low-altitude spy satellites, allowing ground controllers to send and receive data to the reconnaissance platforms when they are out of range of Russian ground stations, according to RussianSpaceWeb.com. Sunday’s Proton launch, which occurred at 6:19 a.m. local time Sunday in Baikonur, is the second of three rocket launches planned from the Kazakh spaceport in a four-day span. 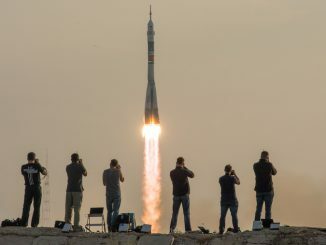 A Ukrainian Zenit rocket lifted off Friday with a Russian civilian weather satellite, and a three-man crew from Russia, the United States and the United Kingdom is set for blastoff Tuesday aboard a Soyuz spacecraft heading for the International Space Station. 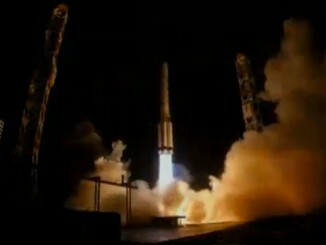 The Proton flight Sunday marked the heavy-duty rocket’s seventh launch of the year. 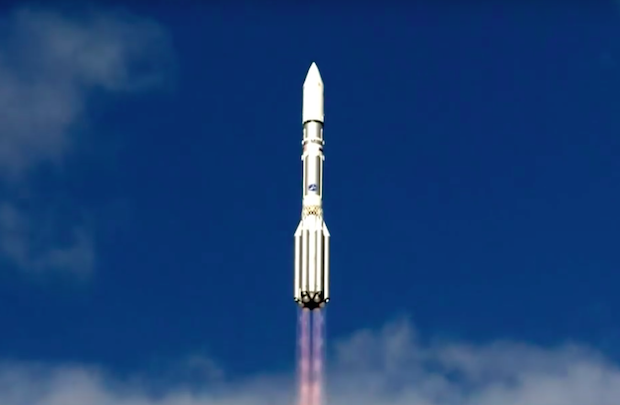 One more Proton launch this year is scheduled for Dec. 23 with the Express AMU1 communications satellite, a European-built spacecraft with a joint mission for the Russian Satellite Communications Company and Eutelsat.